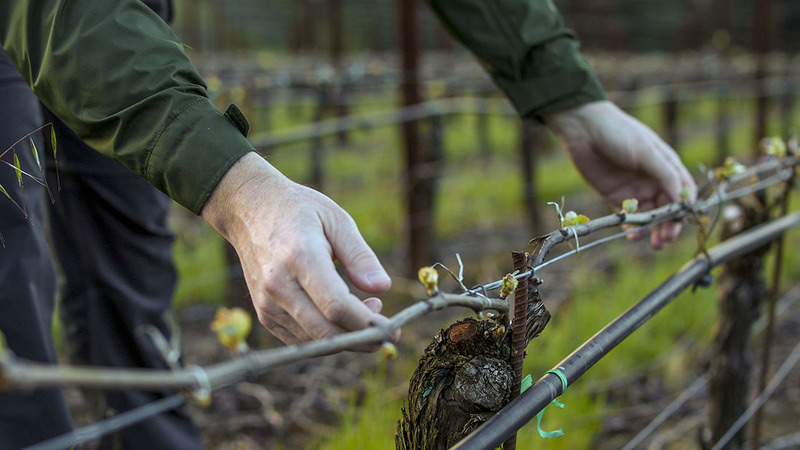 Heintz Vineyard, some eight miles from the ocean at high elevation, was a late-ripener in 2010 and its natural delicacy is a true reflection of this cool season as a whole. Most similar to our classic 2005 bottling, this is a wine that leads with its coastal intensity in preference to its density or concentration. It has great poise and breezy freshness and really dances on the palate – it’s quite seductive. Longtime customers will recognize the strong sense of Heintz Vineyard complexity on offer, especially in the fine interplay between ripe fruit and site-driven aromas and flavors. That’s the unique feature about this classic vineyard site, even in cooler years with lower ripeness, the strong vineyard signature comes to the fore to offer something profound and memorable with considerable aging potential. The highest value of this wine will be five years down the road when all its dramatic complexity is revealed. Brilliant pale gold color. Intriguing mix of savory and sweet aromas: pear, fennel, cut grass, crisp apple, lemongrass, quince, complex herbal notes. Generous palate entry, but quite delicate, round and mellow. Tangerine, lemon and almond. Lovely progression along the palate, subtle richness, but always vibrant pin-point acidity. Complex truffle/hazelnut finish. Serve no cooler than 55 degrees. Drink between 2012 and 2016.